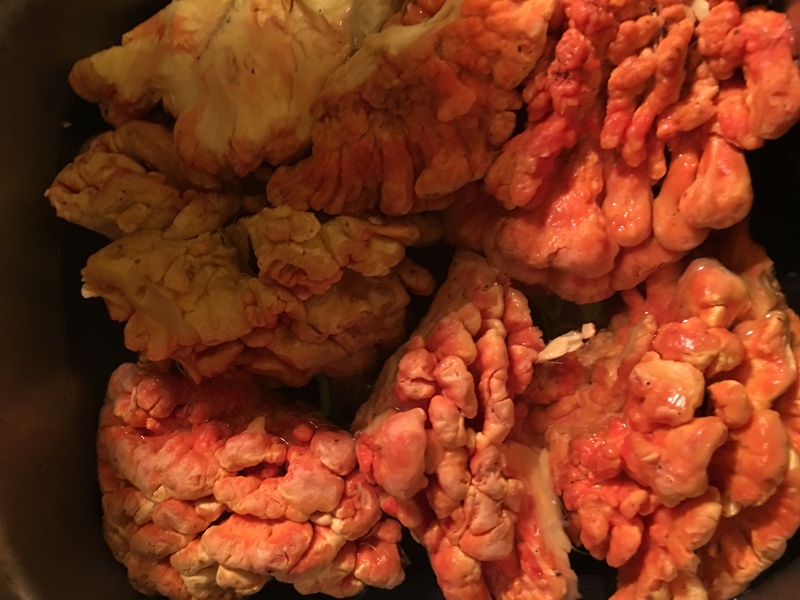 How can I store stored chicken of the woods? Last year I tried dehydrating but it really doesn't bounce back too well. Could these be sauteed and then frozen for later use in sauces? They only come around once a year so I don't want to screw them up this time. You should freeze it. Sauté your mushroom in small chunks, (I would do it with onions and olive oil, but you don't have to), let it cool, and then put it in the freezer in an ice cube tray. Once it's fully frozen, pop the cubes out of the ice cube tray and put them in a plastic bag in the freezer. Whenever you want some chicken-of-the-woods, you can just take out some cubes and add it to a soup. As a mushroom variety that is associated with allergic reactions to some, I don't think it is advisable to dehydrate it. This would only serve to increase the concentration of toxins that likely cause the allergies in the first place. As Stephie mentions in her comment the safest solution would be to pick and sauté only fresh young brackets, then separate and freeze them in portions as needed. As a side note, most of the brackets you have there are quite large and mature. 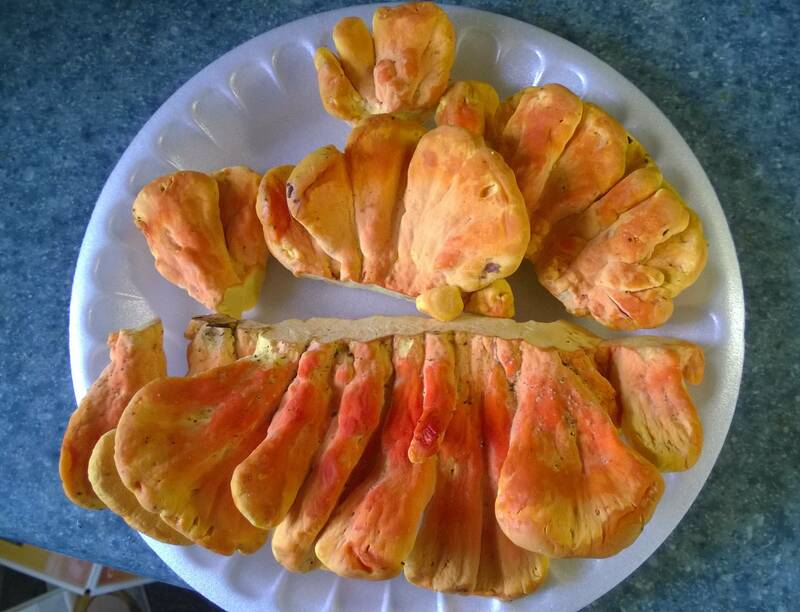 If you haven't eaten this particular mushroom before or are not sure of its origin, I wouldn't recommend eating them as they may cause the allergic reaction I mentioned or even vomiting and diarrhoea. As another side note, try sautéing the fresh ones with butter a hint of Chardonnay and some teriyaki sauce. Not the answer you're looking for? Browse other questions tagged storage mushrooms or ask your own question.